There are many unique ways in which you can look to supplement your normal income. A popular way many people use it is to take online surveys and do other small tasks online for money. There are many sites that offer this service – one of the big sites is called InboxDollars. So what exactly is this website, does InboxDollars work, and how do you use it? In this InboxDollars review, you will see the full scope of the site and what it has to offer. So let’s find out if it is worth it or a scam to stay away from! What Is InboxDollars and what does the site offer? InboxDollars is a self-proclaimed online rewards club that was founded by entrepreneur Darren Cotter in 2000. So it has been around for a while, which is a good sign for this kind of sites. According to their own website, it has given out over $57 million dollars to its members. So let me reveal right away that InboxDollars is legit. This does however not mean it will be the right site for you. So let’s look into what it offers and how you can earn on the site so you can see if it is waht you are looking for. One of the ways you can earn on InboxDollars is by taking paid surveys. I in general think paid surveys are great to participate in. Not only to make some extra cash but also because you can have your opinion heard at the same time. On InboxDollars there will however not be a huge amount of surveys. There will be some, but there are quite a few complaints from people saying there are not very many surveys anymore. You will however still be able to find some. Often the surveys you will find are provided by Toluna Influencers, so you could also take many of the surveys there instead if you prefer that site. Also, just be aware that you will not qualify for all the surveys you are offered on InboxDollars, so it sometimes takes patience to find the ones you can complete and get paid for. 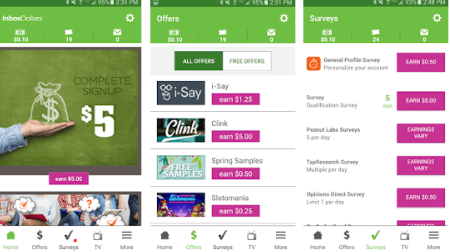 But overall, paid surveys is a way to earn on InboxDollars, but you should make sure to combine it with the other earning methods on the site to get enough out of it. You can find quite a lot of games you can play on InboxDollars. You can, for example, find card, strategy, sports, and word games, and get paid when you play. You will not earn huge rewards from playing games. That is not only on InboxDollars this is this case, but on most get-paid-to (GPT) sites playing games will not pay very high rewards – but it can be fun and it is great getting paid for having fun, right:-). But if you are on InboxDollars just to earn, you should be careful not spending hours playing games. It takes a lot of playing to make enough for a payout, but it can be a fun way to spend a bit of time once in a while. In addition to the InboxDollars games, it also has a cooperation with GSN Games, which is a platform among other things can play casino games. InboxDollars offers you 18% cash back on every dollar you spend on casino games on GSN Games. So if you are using the platform to play online games for money anyway, it can be great to join InboxDollars and get 18% cash back. 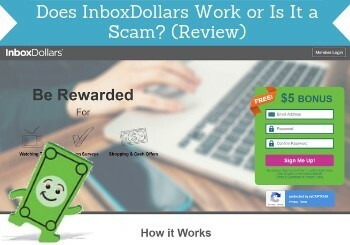 InboxDollars is known for having the option to earn by reading emails – you can kind of hear that from the name right:-)? Again, this is not a way to earn huge amounts of money but can be a way to earn a little extra, and it does not take much effort. When you read emails, you get a set amount, usually ranging from 1 to 10 cents. How it works is that you will receive an email with an offer. 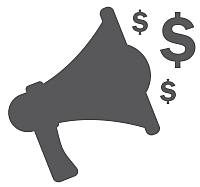 It is promotional offers from InboxDollars partners and it can be all kind of offers and will differ from time to time. Examples of offers you can get in the paid emails. You do not have to take the offer to get paid for reading the email. You just need to click the link in the email to confirm you read it, and then you will get your reward. It is difficult to say how many emails you will get. It depends on how active you, in general, are on the site. The maximum you will receive is 3 per day, but if you are not active on the site in general, you might not receive any. As you can see this means this is only really a way to earn if you also use the other options on InboxDollars. But if you do, it can be worth it to just check the emails you get. You can quite often find InboxDollars promo codes and get a bit of free cash. These are published on InboxDollars’ Facebook and Twitter page. You can often get free cash with the InboxDollars promo codes. These codes are usually posted several times per week. There is a time limit on when you can redeem them, so you would need to regularly check their social media accounts to use this option. You can also get paid to watch videos on InboxDollars. I must say, I am not too crazy about this option in general, because it can quickly just be a waste of time. The rewards you get for watching the videos are very low. There can be some funny videos, so it can be nice to use this option once in a while. You can find many printable coupons on InboxDollars that can give you some great savings and cashback when shopping. Using the coupons will give you a saving + a reward on InboxDollars. You simply have to print the coupons and take them to the physical store where it will give you a saving. In addition to the savings, it will give you, it will also give you $0.10 into your InboxDollars account every time you redeem a coupon. In addition to this, you can also get cashback on online shopping for hundreds of merchants like for example Wal-Mart, Target, Old Navy, and more. This is not exactly a way to earn, but we all need to do shopping, so getting cash back or save by using coupons, can almost be as good as earning if you find the right offers. So this is definitely an option worth checking out. The free contests InboxDollars regularly offers is a way to potentially earn that does not actually take place on the website itself. 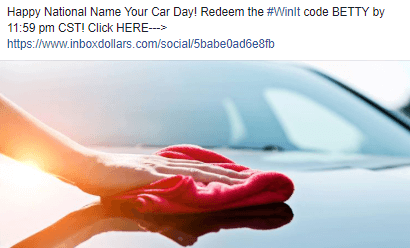 You will regularly be able to find free contests on the social media channels of InboxDollars. InboxDollars regularly runs free contests. Above you can see an example of a contest where you need to put a caption on an image. This is usually the kind of contest you can find. 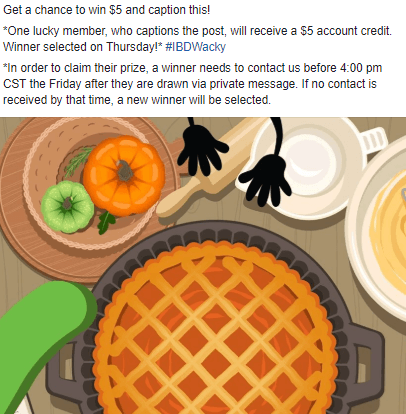 The usual reward if you win is $5. There is of course not a huge chance of winning, as quite a lot of people participate, but it can still be worth the shot once in a while. InboxDollars has a gold membership. When you first join, you are just a regular member. Once you receive your first payout, you will automatically become a gold member. The only difference between a gold member and a regular member is how fast you will get paid after you request a payout. As a gold member, your payout will be processed 3-9 days after your request it, compared to 16 days for non-gold members. It does not make a huge difference, but still nice to know what it means to become a gold member. As you can see, the site has quite a few ways to earn. But does InboxDollars pay, and how and when will it happen? The payout threshold is $30, so you need to earn this to request a payout. You can then get paid via check, prepaid Visa or an InboxDollars e-card. Personally, I prefer GPT sites that pay out through PayPal, as this is very convenient, so a shame InboxDollars does not offer this. But the methods it offers are still great ways to get your rewards in cash – it just takes a bit longer. For every payment request, there is a $3 processing fee and regular users can normally expect payment to be processed within 10 to 16 days (for gold members it will be 3-9 days). The payouts are definitely real, and you will get paid, but a $30 payout threshold is quite high for a GPT and survey site. This is also the source of strong frustration with the site for many people. The most common complaint about InboxDollars is the long time it can take you to reach the required $30 threshold in order to cash out their earnings. There are some users who say that getting to around the $15 point isn’t difficult, but as you get closer and closer, the value of surveys drops down because there was a lot of time spent on surveys for little earnings. This might just be individual experiences, and from my experience with legit survey sites in general, I doubt that such a big site as InboxDollars deliberately plan it like that. I personally think $30 is too high a threshold, but I also know sites where it does not take long to reach, and then it is fine. It is however still high compared to the quickest paying survey and GPT sites, where some pay out already when you have earned $1. You will however get a $5 joining bonus on InboxDollars, which will give you a good start. If you do not have the convenience of always being on your computer, it is great to know that there are mobile versions that makes it possible to earn from anywhere. You can use the InboxDollars app to earn on the go. The InboxDollars app is available for both Apple and Android iOS platforms. From here, you will have access to surveys, offers, cash search, and other features to help you earn money from your phone. The Android variation requires at least an operating system of 4.0 or higher and 7.0 or higher for Apple. So who can then join InboxDollars? As the name suggests, it is only a site for people living in the USA, and who are at least 18 years old. It used to be open to other countries as well, but now you can only sign up, if you are in the US. And you are not allowed to use VPN to hide your country – they will detect this and block you. One particular strict rule about InboxDollars that is important to be aware of is that they do not allow duplicate accounts. You are only allowed to create one account. If they detect you are trying to create more, you will be kicked out and lose your earnings. In addition, no more than one account is allowed for each address, household or computer. If you break this rule, then all accounts associated with the mailing address on file will be terminated. InboxDollars is trying to do quite a lot to help you with any potential issues you may face with the site. The site offers a 24/7 LiveChat, where you can contact support at any time. This feature is available on both desktops and mobile versions, which is a very good feature of InboxDollars in my opinion. Before contacting support it is, however, a good idea to check out the support section on the website. You can find answers for a lot of common questions here, and it can save both you and InboxDollars time to check this first. If the issue you have is payment-oriented, then it is generally referred to the accounting department, and you generally receive an answer within 24 hours. Despite some complaints about InboxDollars, the site is not a scam, as it does pay it members, and has done for many years. This does however not mean it is the best option for you, so let’s sum up the pros and cons to give you a better overview. Limited payment options – PayPal is not available. InboxDollars is definitely a legit site you can use to earn some extra money in your free time. However, you have to be aware that it will require some time to make any real earnings. It will not make you rich or a full-time income, so if you are expecting this, it will not be a site for you. But InboxDollars does work, and it will pay you. However, the process can be long at times depending on the earning methods you choose to use. InboxDollars has plenty of competition from other popular online rewards sites, and it can be a good idea to check out the top paying sites in your country as well, and make sure to join some of those as well, to get more earning opportunities. How to sign up for InboxDollars? If you want to sign up for InboxDollars it is very easy. Just click the button below, and you will be taken to the sign up page. You just have to fill out email and password, and then confirm your email, and then you will get your $5 joining bonus. Remember that you can only sign up from the US. If you have any experiences with InboxDollars yourself, feel free to share in a comment below. Will be great to have other InboxDollars reviews posted below as well. Also, if you have any questions just leave a comment below, and I will get back to you asap. InboxDollars is a legit online rewards portal. 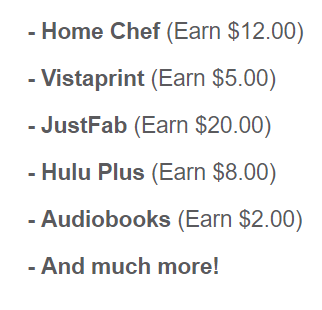 It offers several ways to earn, and gives a great joining bonus of $5. It does, however, have a high payout threshold, which it can take a bit of time to reach depending on the earning methods you choose to use. okay thank you, you answered my question exactly…phew, your the best. i have one more question. i know that survey junkie will payout immediately on PP, and so will Qwee. Mysurvey used to be 24hours but changed…Do you know any other sites that payout PP the same time you withdrawl like these 2???? Superpay.me and Rewarding Ways pay out within a few hours once you have verified your identity, and also offers instant PayPal. I usually also get my money within 24 hours on PrizeRebel – sometimes even within a few hours. These sites also have low payout threshold, so you can get your money out already when you have earned $1 on the first two sites, and $5 on PrizeRebel. this comment is about fushion cash…malmare bytes came up on the site and said that is was a fraud, anotherwords, a virus or malware hiding as a survey site i guess. another thing i been experiencing since i changed computers is the browser will be secure on the site im in, but once it goes to another site for the survey, its not secure anymore, have you ever heard of this? Sounds like it might not be an issue with Fusion Cash, but some kind of sneaky trick or malware. Sometimes pop-ups come up with fake warnings on certain sites to get you to click their ad. But better to be safe to make sure to have antivirus on your computer. About sites not being secure in your browser: it happens for some sites. It depends if they have what is called a SSL certificate on their website. If not, it will not be shown as secure. So you can for example be one a survey site that has this and shows secure, but then click a survey where you will be taken to a third party provider to take it, and that site might not have it and then not say it is secure. Ideally all survey websites should have SSL and be secure, but not all have it yet. So at the moment I would not worry too much about it. But if a security warning comes up, I would not enter the site.